Mirzaei, M., Shakeri, M., Sadighi, M., Seyedi, S. (2011). Multi-objective Optimization of Crashworthiness of Cylindrical Tubes as Energy Absorbers. Iranian Journal of Mechanical Engineering Transactions of the ISME, 12(1), 5-18. M. Mirzaei; M. Shakeri; M. Sadighi; S. E. Seyedi. "Multi-objective Optimization of Crashworthiness of Cylindrical Tubes as Energy Absorbers". 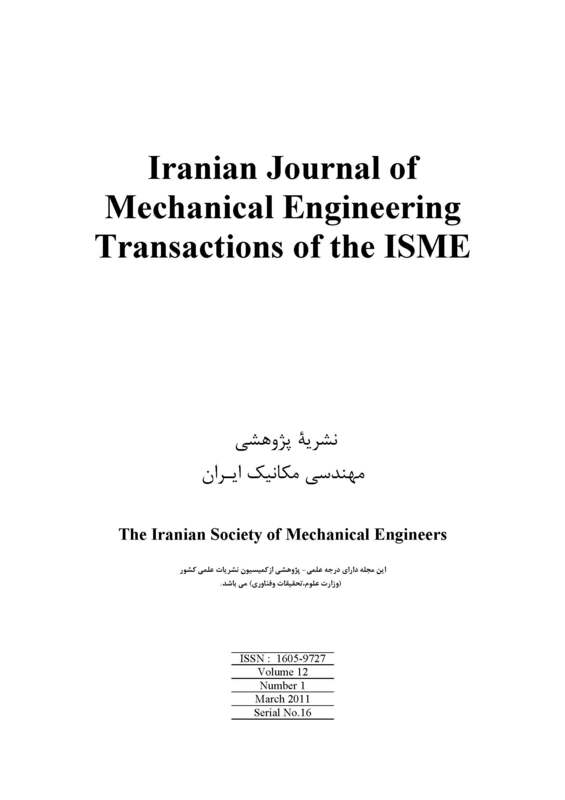 Iranian Journal of Mechanical Engineering Transactions of the ISME, 12, 1, 2011, 5-18. Mirzaei, M., Shakeri, M., Sadighi, M., Seyedi, S. (2011). 'Multi-objective Optimization of Crashworthiness of Cylindrical Tubes as Energy Absorbers', Iranian Journal of Mechanical Engineering Transactions of the ISME, 12(1), pp. 5-18. Mirzaei, M., Shakeri, M., Sadighi, M., Seyedi, S. Multi-objective Optimization of Crashworthiness of Cylindrical Tubes as Energy Absorbers. Iranian Journal of Mechanical Engineering Transactions of the ISME, 2011; 12(1): 5-18. In this article, the multi-objective optimization of cylindrical aluminum tubes under axial impact load is presented.The absorbed energy and the specific absorbed energy (SEA) are considered as objective functions while the maximum crush load should not exceed allowable limit. The geometric dimensions of tubes including diameter, length and thickness are chosen as design variables. The Non-dominated Sorting Genetic Algorithm –II (NSGAII) is applied to obtain the Pareto optimal solutions. A back-propagation neural network is constructed as the surrogate model to formulate the mapping between the design variables and the objective functions. The finite element software ABAQUS/Explicit is used to generate the training and test sets for the artificial neural networks. To validate the results of finite element model, several impact tests are carried out using drop hammer.